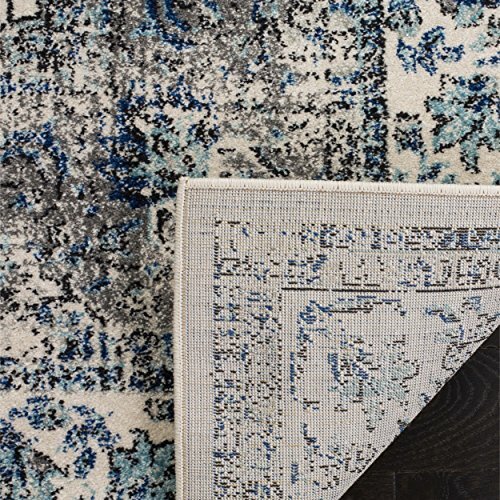 The Evoke Collection of fashion-forward Frieze area rugs is a marvelous display of dazzlingly designed, durable indoor carpets. 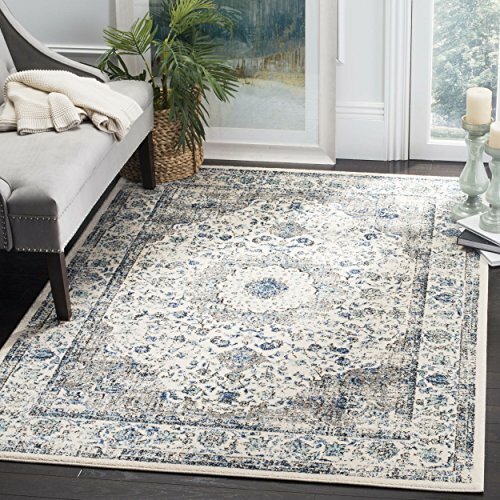 This gorgeous vintage-inspired rug features shades of turquoise, royal blue, grey, and ivory with a central floral medallion. 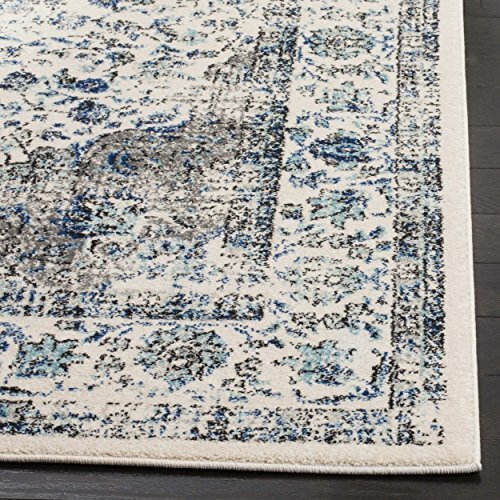 Crafted of enhanced polypropylene fiber, this rug requires minimal maintenance, as it is virtually non-shedding. 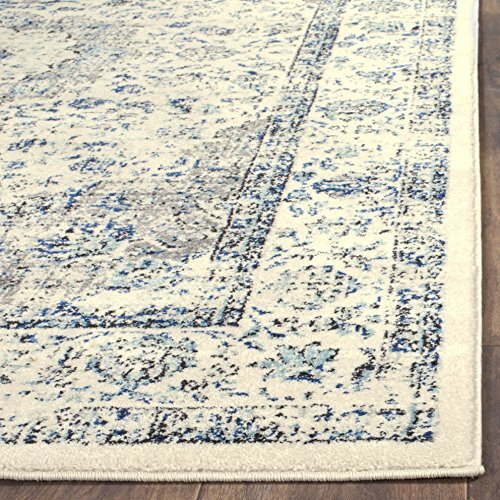 With the charm of a rare heirloom, this piece has an expertly designed weathered appearance that blends old-world charm with modern sophistication and construction.